A lot of people had already heard about the CCleaner and most of them are actually Windows users. This is because this program had become widely known for its functionality. However, there has also come some unexpected malfunction of the CCleaner. That is why in this article, we are going to do a CCleaner for mac review and if you really need one. We are also going to talk about here another tool that you can actually use as an alternative rather than using the CCleaner for your Mac. This way, you will have a better option just in case that you would not want to have the CCleaner. Part 1: What is A CCleaner? Part 3: Is Using A CCleaner Suitable For A Long Term Use? A CCleaner is known to be a small but effective tool that you can use for you to clean up your PC such as its junk files and other temporary files that you have on your Mac. This program can also help you in protecting your privacy. Though the CCleaner is a common tool for any Windows users, you can still have it used on your Mac. • One way that you can use the CCleaner is that when you want to scan and have all those files that you no longer use be deleted from your Mac. This way you will be able to free up more of your storage space. • The other use of the CCleaner is that it can help you in deleting your private data such as your browsing history and some of those files that you recently opened. The CCleaner is actually known as a built-in disk cleaner for any Windows PC. This is used for them to delete all the files that they no longer use. This is what the CCleaner does and more. This way, you will be able to have more of your storage space and will let you download other applications and files that you need. Aside from the things that we have mentioned above, there is also another thing that the CCleaner can do. And this is deleting private usage of your data. The CCleaner can do this just by simply deleting your browser history, your caches, your cookies on any browser that you have on your Mac. The CCleaner can also delete any other privacy risk data that might harm your Mac. This includes the data that is actually stored from your Microsoft Word, Adobe Reader, Media Player and other applications that you have. Once that you have cleaned out all the files and other junks that you have on your Mac, then that means you are enabling your Mac to perform faster as you clear out more of your storage space. However, you will no longer need to have more space on your Mac nowadays because what matters for most users is that they have a space for new files that they are going to create. The CCleaner can actually help you in looking for all of the large and old files that you have on your Mac and have them deleted. It can also help you in cleaning out all of your cache files. However, these files can actually be deleted automatically by your Mac. And you can just actually re-create one once that you start building up your cache once more. Because of this, having the CCleaner on your Mac will not actually be necessary and is not good for a long-term use. This is because once that you actually have a low space on your Mac, you actually have the option to have your hard drive upgraded. This way, you will be able to save more important files and documents that you have. We don’t actually say that having your CCleaner is bad for you to use. However, nowadays, it might not be necessary anymore to run this on a regular basis. Though there are still other people who would actually want to keep the CCleaner and then would want to do a cleaning process occasionally. So, if you are actually one of those people who actually still keep the CCleaner, then you must consider on going through all of your files and just choose all the things that you would want to remove. 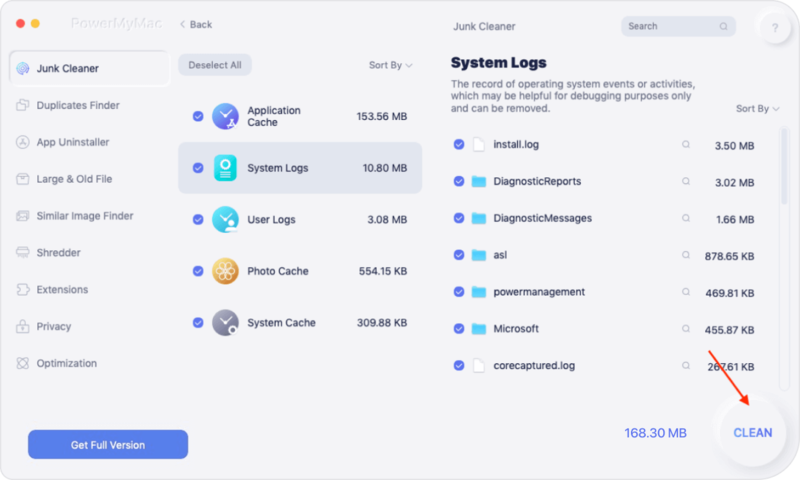 This is a better way rather than just simply running the CCleaner to clean out all the junks that you have on your Mac. So if you are decided to keep the CCleaner, then make sure that you actually use it wisely. 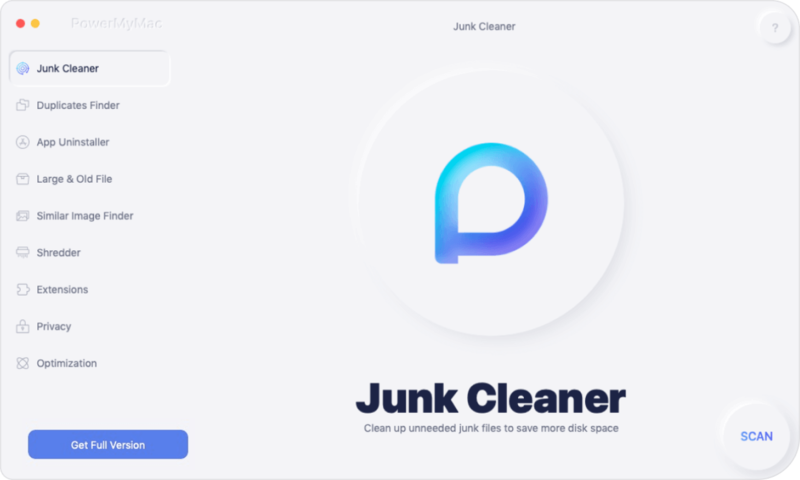 As we all know, there are actually a lot of tools that you can use for you to clean up all the files and data that you no longer need on your Mac. You can actually make use of a Mac Cleaner to help you with the job. And, because of this, we have the best Mac Cleaner that you can use. And this is the iMyMac Cleaner. The iMyMac Cleaner is somewhat similar to the CCleaner. Though this program is only intended for Mac PC. It can also do all that the CCleaner can actually do but it can do way better. 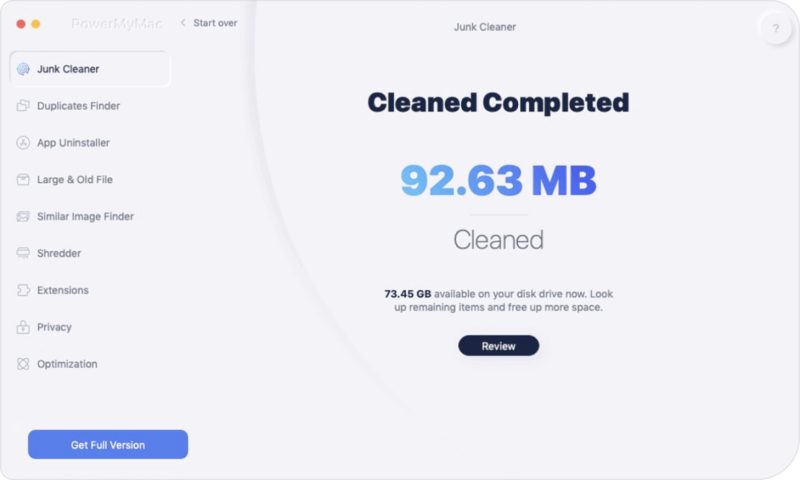 The iMyMac Cleaner can help you in speeding up your Mac for better performance and as well as in freeing up some space for you to be able to save new files. It can also help you in removing all of your junk files easily from your Mac. Aside from that, the iMyMac Cleaner can also help you in locating and scanning all of the email attachments that you no longer need, your iTunes Backup and your multi-languages feature of the applications that you have on your Mac. The iMyMac Cleaner can also help you in finding for all the Large and Old files that you do not need anymore. However, one of the best features that the iMyMac have is that it can let you preview all the data that it can scan on your Mac before you actually delete them. This way, you will be able to selectively choose which data is no longer needed from your Mac. The iMyMac Cleaner will be able to show you all the items that it had scanned. And also, it will be able to show you only those files and documents that are actually safe to remove from your Mac. This is actually another way for you to make sure that you are going to remove the right files. Now, here is a guide for you on how to use the iMyMac Cleaner for you to start freeing up space on your Mac and as well as for you to speed up its performance. First is that you have to download the iMyMac Cleaner from our official website. Then after that, have the program installed on your Mac. After installing the iMyMac Cleaner on your Mac, go ahead and launch the program. Then, on the main interface of the iMyMac Cleaner, you will be able to see the system status of your Mac. Aside from that, you will also be able to see the different modules of what the iMyMac Cleaner can do. From the list of modules that you see on the left side of your screen, go ahead and choose one that you want to do with your Mac. Let us take an example and try to choose “Junk Files” from the list. Once that you have chosen “Junk Files” from the list of modules on the left side of your screen, go ahead and click on the “Scan” button. Once that you click on the scan button, the iMyMac Cleaner will then start to scan for all the junk files that you have on your Mac. This may take some time depending on how large are the junk files that you have. You can also have the option to re-scan for all the junk files that you have on your Mac. All you have to do is to click on the “Re-Scan” button. Once that the scanning process is done, the iMyMac Cleaner will then show you all the junk files that you have on your Mac in a category. You will be able to see their categories such as Application Cache, Photo Junks, System Logs, System Cache, User Logs, Trash Bin, Mail Junks, and more. From there, go ahead and choose a category. And if you are going to notice, once that you clicked on a certain category, the iMyMac Cleaner will then show you all the items that the category contains. From the list of category and the items that it contains, goes ahead and review all the items. This way, you will be able to selective choose just those items that you would want to remove completely out of your Mac. Once that you are done choosing all the items that you want to remove from your Mac, go ahead and click on the “Clean” button. Then the iMyMac Cleaner will then ask you to confirm this changes. From this, all you have to do is to click on the “Confirm” button on your screen. Once that you have confirmed the actions, the iMyMac Cleaner will then start to clean up all the Junk Files that you have selected earlier. This process may take some time so just patiently wait. Once that the iMyMac Cleaner is done in cleaning up the junk files that you have on your Mac, you will then see that many of your folders will be marked as “Zero KB”. This only means that there are no junks files left of the folder. However, there are some folders that do not have this indication. Do not worry, because these folders are an auto recreated folder that is why it does not have an indication. You can also do the whole process if you are going to choose “Clutter” and “Large and Old Files” from the modules that are shown to you earlier. As you can see, the CCleaner is not a bad tool that you can use for you to clean up all the files and documents that you no longer need on your Mac. However, the CCleaner is just not that reliable when it comes to the cleaning process. Though there are some features that it has which you can use for all the data that you have. If you are not that sure in using the CCleaner on your Mac for you to remove all the files and documents that you no longer need, then we have the best alternative tool that you can use. This is what we called the iMyMac Cleaner. The iMyMac Cleaner us very much safe to use and you will not have any problems or errors in using this. This is a great tool for you to remove all the things that you no longer need. This includes your junk files, your old and large files, duplicate files, cleaning up your browser and a lot more. Using the iMyMac Cleaner is a better way for you to be able to keep your Mac’s high-speed performance and at the same time, it can help you to free up some space for your storage. Get the iMyMac Cleaner now and you will be able to get a free trial for 30-days. And also, you will be able to get an awesome 30% discount once that you decided to purchase the iMyMac Cleaner. We assure you that this is the Mac Cleaner that you are looking for.